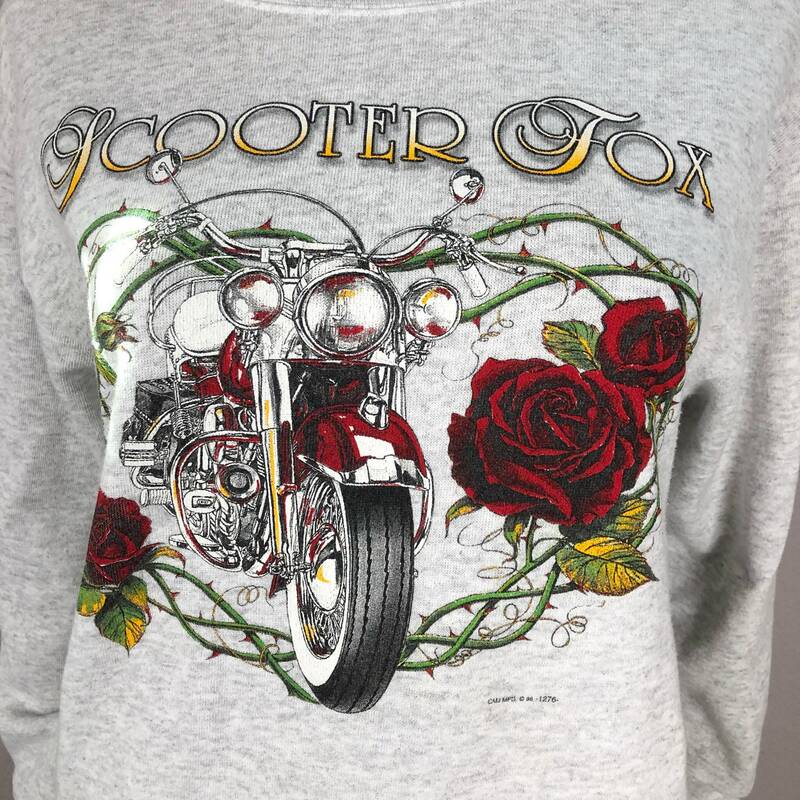 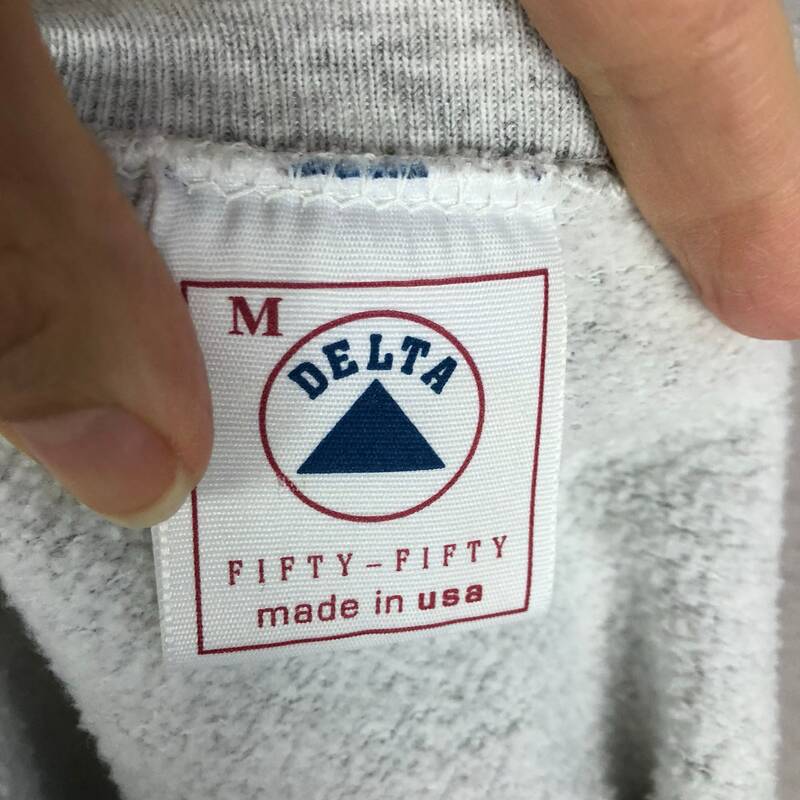 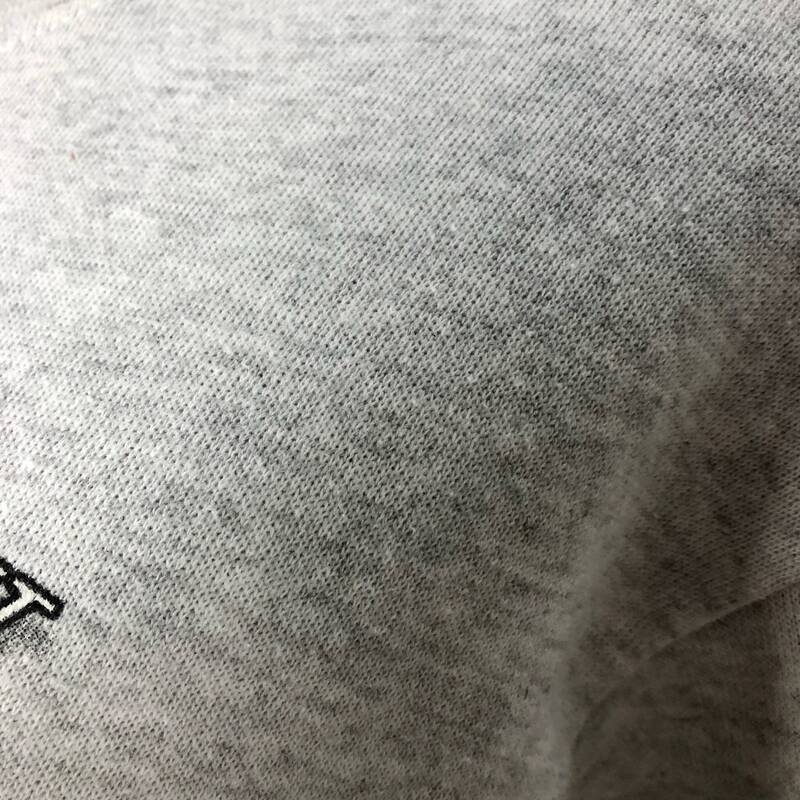 Scooter Fox motorcycle sweatshirt for sale from the 90’s. 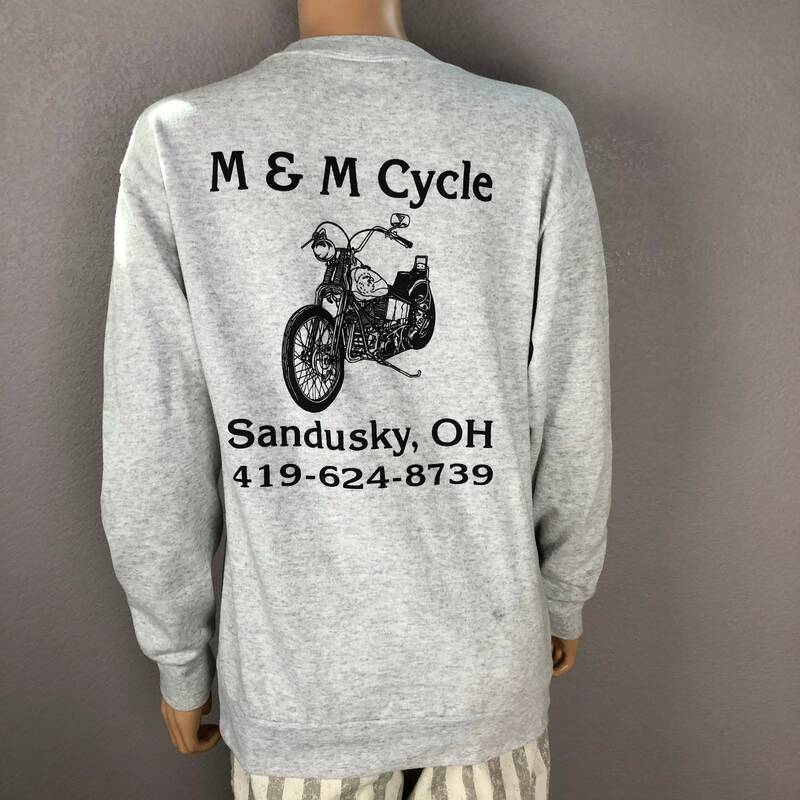 This is a very cool marled gray crew neck with a motorcycle graphic on the front and the back. 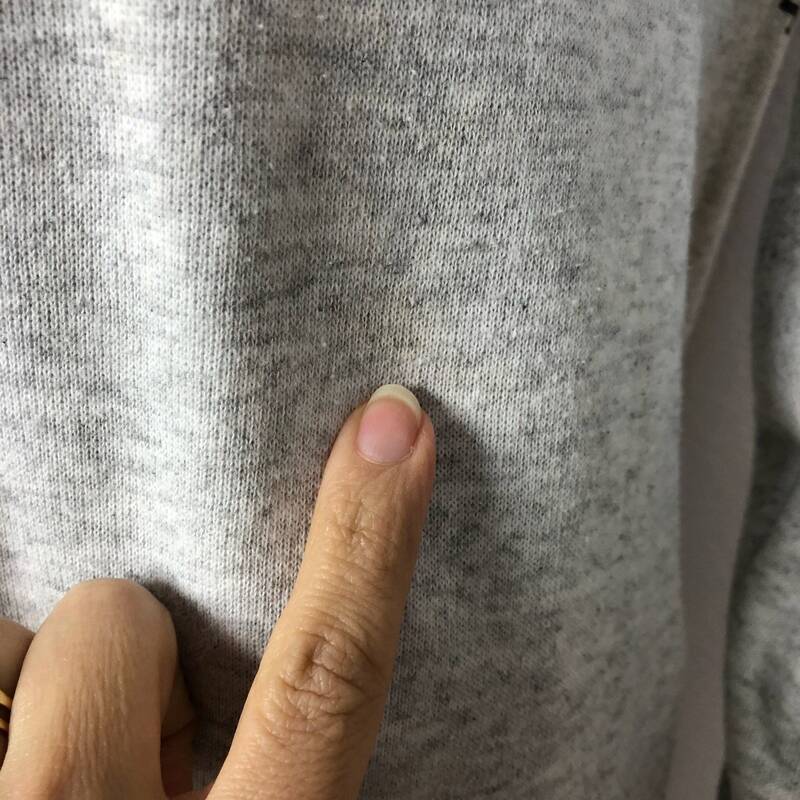 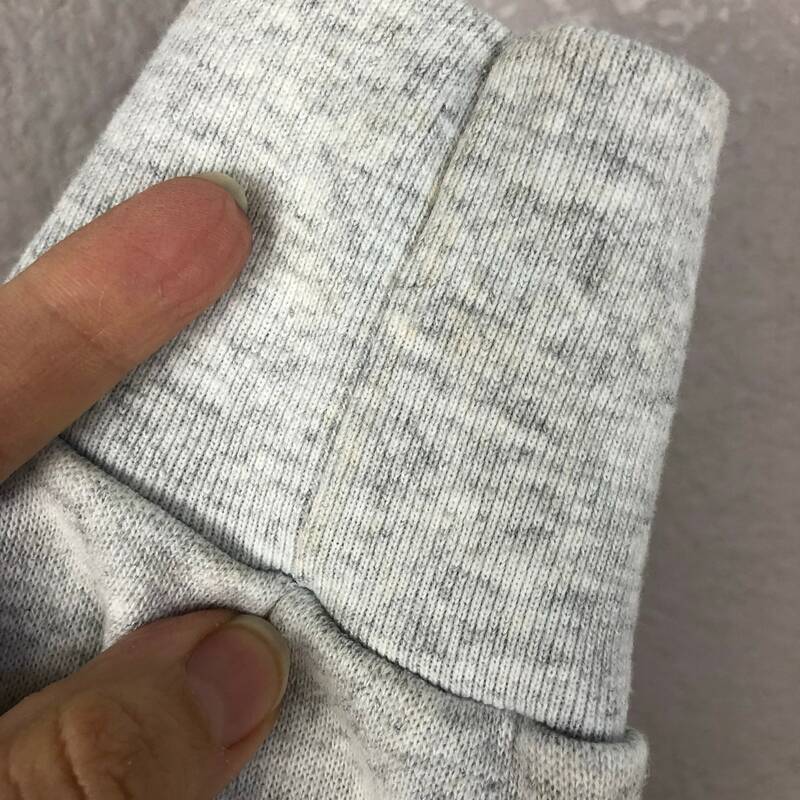 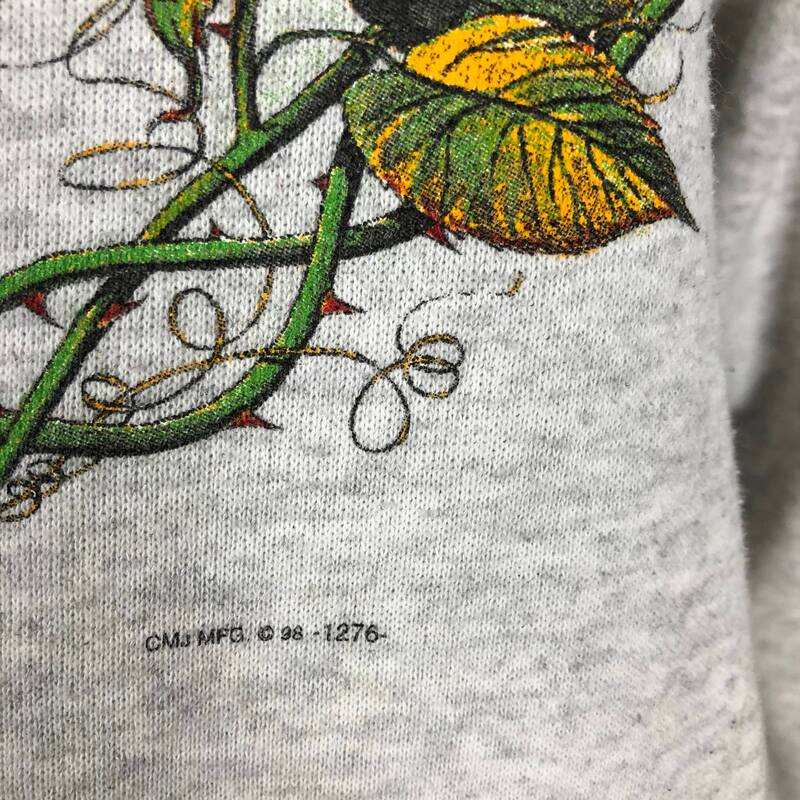 It has some minor pilling and it has yellow marks here and there, which I’m not sure if it’s just part of the marled design or if it is residual staining. 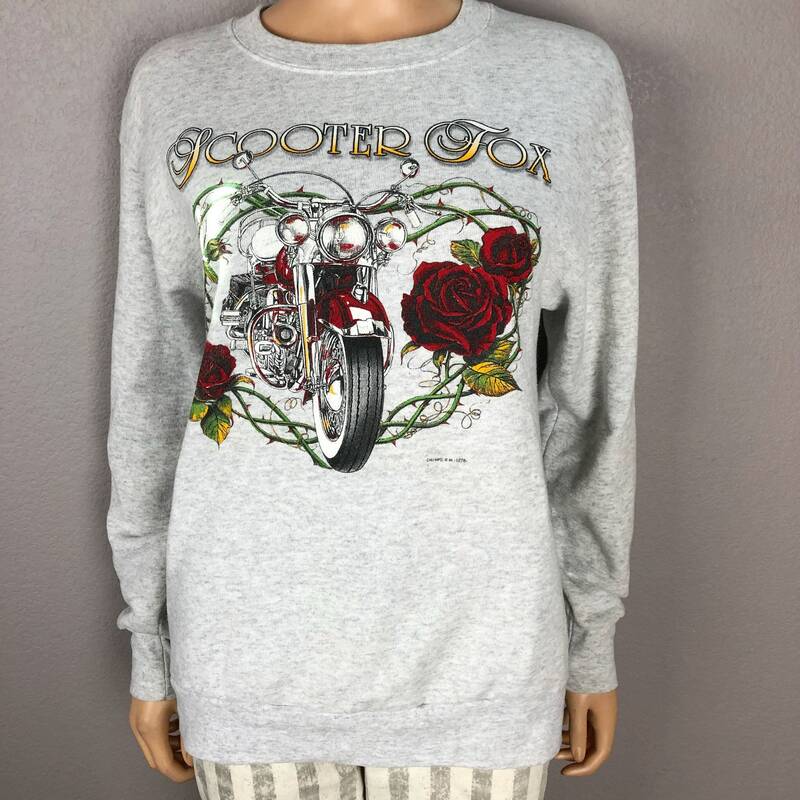 I had to post it though because it’s just an awesome looking sweatshirt and is super comfy too! 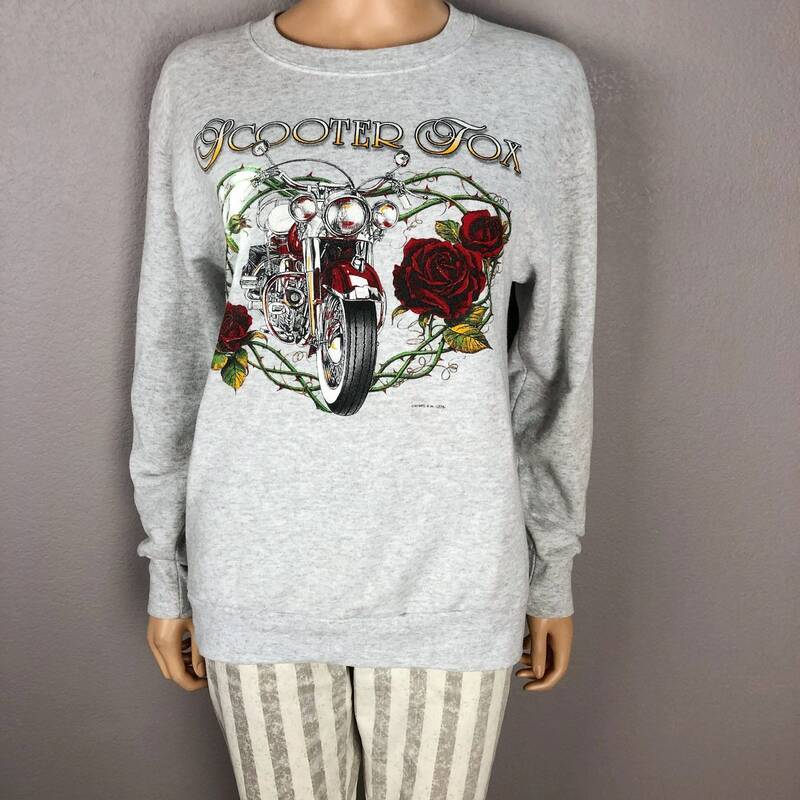 Just a really cool piece with an excellent vintage look.